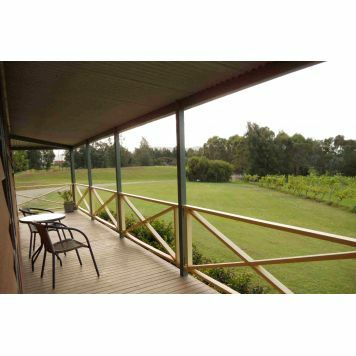 All apartments feature private patios looking out to the 25 acres of peaceful hotel grounds, river and vineyards. 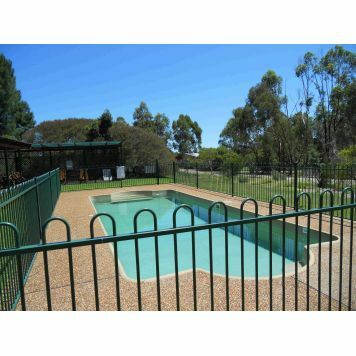 Guests are also welcome to relax by the hotel outdoor heated swimming pool, play a game of tennis, or have a BBQ in our undercover BBQ area surrounded by lush gardens. 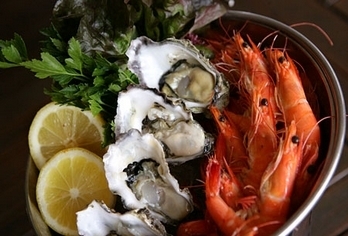 Hunter Cafe & Restaurant. 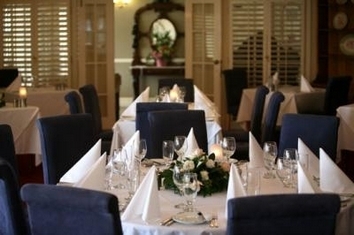 Open for breakfast daily, lunch Thurs-Sun and dinner Wed-Sat. 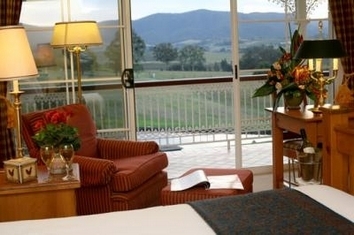 Leisure Inn Pokolbin Hill is the ideal location for a romantic break or a trip with friends and family. 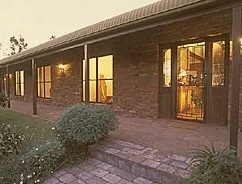 Littles Wine Accommodation is located within walking distance of the two main concert venues of Bimbadgen and Hope Estate. 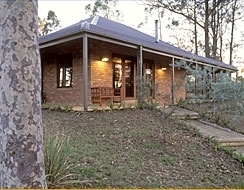 The lodge has expansive northley views that include great sunsets over the Brokenback Range. 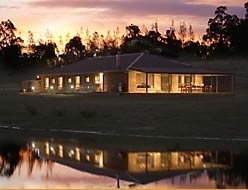 Guests are welcome to take walks through the 2 vineyards which are 2 km apart and up to Sugarloaf Hill which is one of the so called 7 (Volcanic) Hills of Pokolbin. 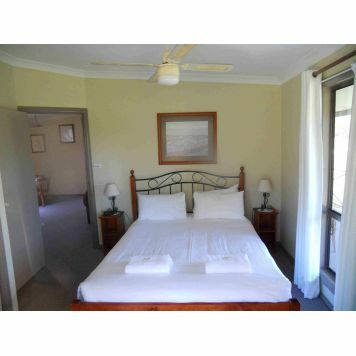 Littles Wines Lodge Accommodation consists of 1 x King Bedroom (can split into 2 king singles), with ensuite and 1 x Queen Bedroom + with full bathroom. 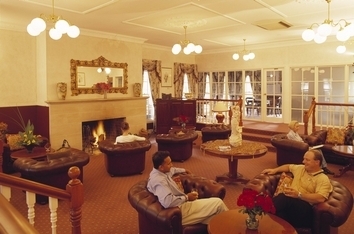 The lounge area has 2 x double sofa beds. 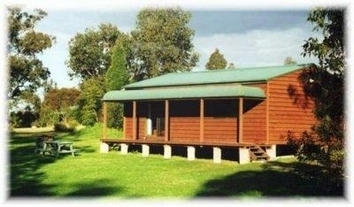 The Lodge has a large verandah with wood buring BBQ. 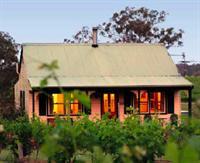 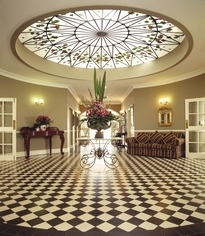 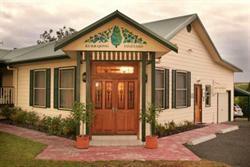 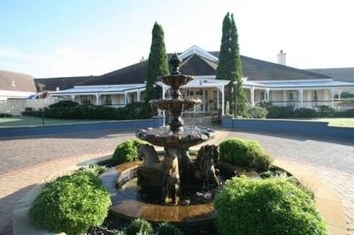 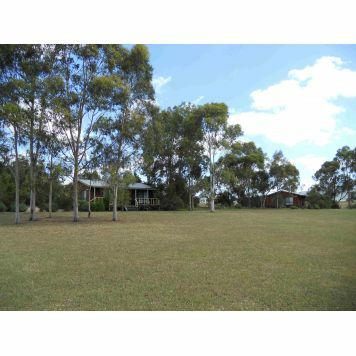 For fine Hunter Valley accommodation in quiet, peaceful surroundings. 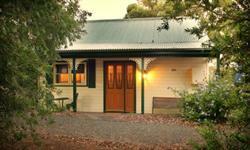 Each cottage is fully self contained and comes complete with a large, sunny kitchen, dining and living room. 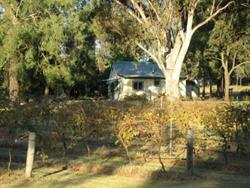 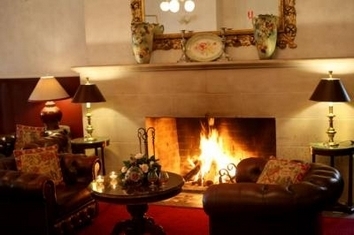 The cottages are all air conditioned, with gas log fires set into federation fireplaces for a cosy winters night. 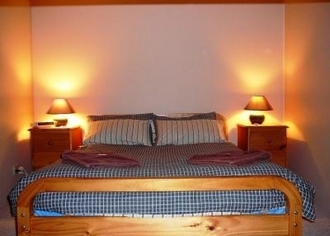 All cottages come complete with colour TV, DVD player, stereo and CD player, so BYO music & movies. 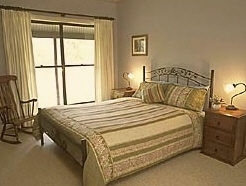 All linen is provided, and a continental breakfast hamper for your first morning is complimentary. 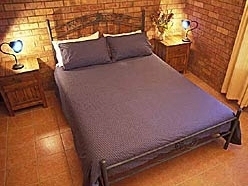 We have a choice of one and two bedroom cottages, all with queen size beds. 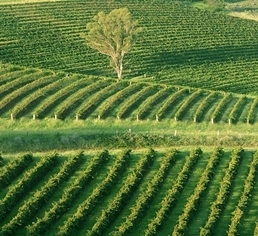 The Hunter Valley is the oldest wine producing area in Australia, with more than 50 wineries open for tastings every day. 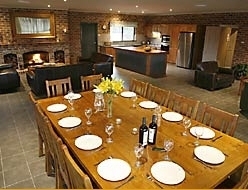 To make life as relaxed and enjoyable as we can, our many tour companies will pick you up from the cottage and take you round the area either by minibus, 4WD, horse drawn carriage, Rolls Royce or Harley Davidson ... 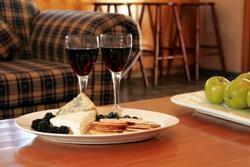 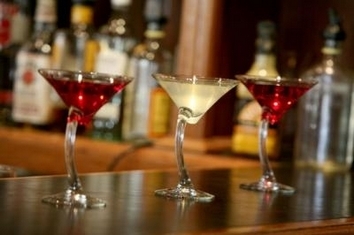 Wherever you find fine wine you will usually find fine food, and the Hunter is no exception. 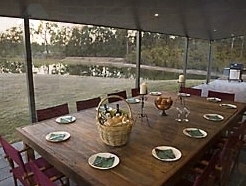 Our neighbours are the renowned restaurant "Robert's at Peppertree", so with over 30 restaurants and numerous cafes, a cheese factory, bakery and speciality chocolate makers in the area, just about every whim is catered for. 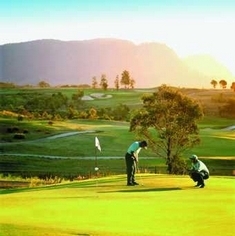 If all this is too much, 4 golf courses, hot air ballooning, day spas, bushwalking, aboriginal history, dozens of craft shops and galleries should distract you! 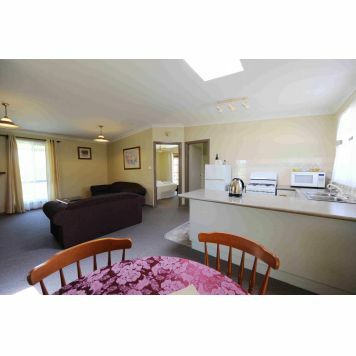 So much to see and do, and with our location on 45 acres in the centre of Pokolbin but at the end of a quiet country lane with no passing traffic, Twin Trees Cottages is the perfect base for a refreshing break. 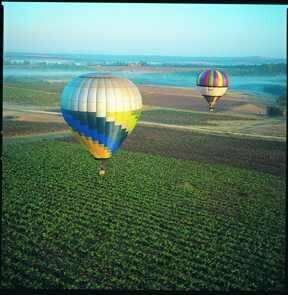 A 2hr drive from Sydney, the Sebel Kirkton Park sits in the heart of the panoramic Pokolbin countryside and famous Hunter Valley wine region.